Asked in another way: What MPGe can we expect from Tesla’s new electric semi truck? "Our hypothetical BEV semi will have an energy efficiency 2.6 times that of a diesel semi. (An EV car is about 3.5 x as energy efficient as an average gasmobile, but diesel engines are about 30-35% more efficient than gas engines.)" In an effort to further refine this “napkin math”, we dug a little further and found a very interesting chart made by Cummins relative to the Super Truck program. This super truck program was intended to see what MPG one could get out of a Diesel semi truck if one pulled out all the stops: installed the most efficient advanced tech diesel engine, improved the aerodynamics, lowered the rolling resistance etc. At current MPG of around 6.5 MPG this super truck program demonstrated around 10 MPG (1.5 times better mileage). 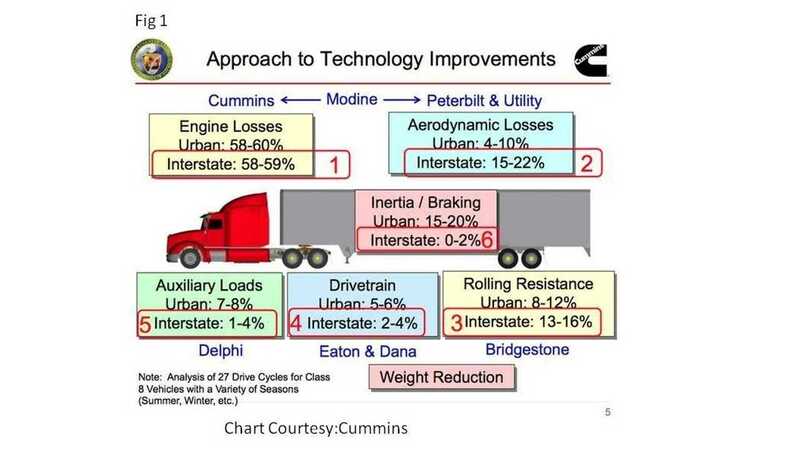 Cummins published a breakdown of all the losses in a semi truck: engine, aerodynamic, rolling, drive train, aux loads and braking and put them in a chart shown in figure 1. The first thing that jumps out on this chart is the engine losses which Cummins puts at 58%. 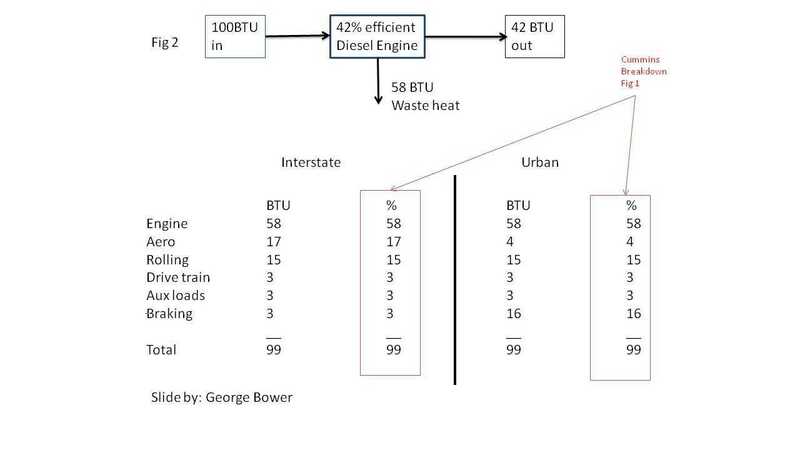 What Cummins has inadvertently told us with this number is the diesel engine cycle efficiency is 42% as shown in figure 2. 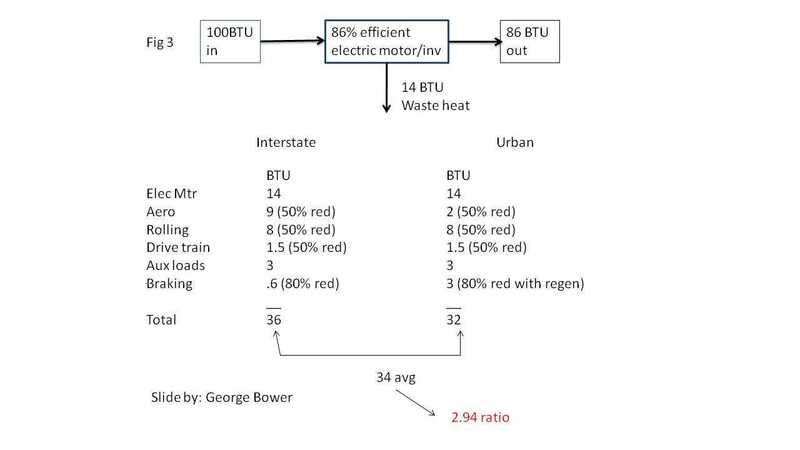 In other words, at 100 BTU of input energy to the diesel engine, 58 BTU’s is rejected in waste heat.  The other losses are listed for both an interstate driving cycle and an urban cycle. Note from figure 2 that braking losses are fairly minimal for the interstate driving cycle but are a big loss in an urban cycle where we have lots of starting and stopping. Aerodynamic losses have the reverse effect. Aero losses are minimal in an urban cycle but a big contributor in an interstate cycle where we run higher speeds. So Cummins chart seems to make sense. Now that we have the losses broken down we can make some assumptions for what we could get with an electric semi truck. This electric semi truck obviously includes a much more efficient motor than the diesel and like electric cars it incorporates regenerative braking and extensive aero modifications. The loss breakdown for the electric truck is shown in figure 3. The biggest improvement occurs in the electric motor and inverter. We just lowered losses from 58 BTU (out of 100) to 14 Btu’s. The next biggest improvements come in the form of improved aerodynamics and regenerative braking. Regen saves us 13 Btu’s in the urban cycle and improved aerodynamics saves us 8 BTU’s in the interstate cycle. Improvements in aerodynamics losses were arbitrarily put at 50%. Regenerative braking assumed we captured 80% of the available energy. Rolling resistance, drive train losses again arbitrarily reduced in half. Adding up our electric semi truck improvements we have lowered the amount of energy required from 100 for the diesel to 34 in the electric semi truck: a factor of 2.94 better than the diesel. The results of this mini analysis-call it “napkin Math 1.5”- are shown in figure 4. Napkin Math version 1.5 estimates the ratio of electric to diesel MPG at 2.94 compared to “Napkin math” version 1.0 ratio of 2.6. 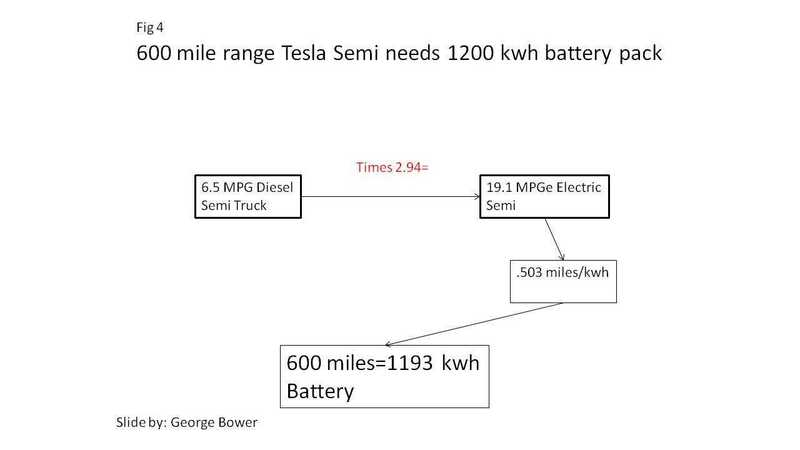 Applying the ratio of 2.94 to the diesel’s MPG of 6.5 we have an electric semi truck with a 19.1 MPGe = .503 miles per kwh. As a reference BYD’s electric bus gets approximately 15.7 MPGe at 14 MPH with A/C on and full passenger load. At 42 MPH the BYD bus achieved 32 MPGe so we feel relatively confident that we are “in the ball park” on what Tesla can achieve with an electric semi. So the battery is how big? For a 600 mile range at .503 miles/kwh we need 1193 kwh battery: roughly 12, P100D battery packs: at $100/kwh that’s $120,000 battery. 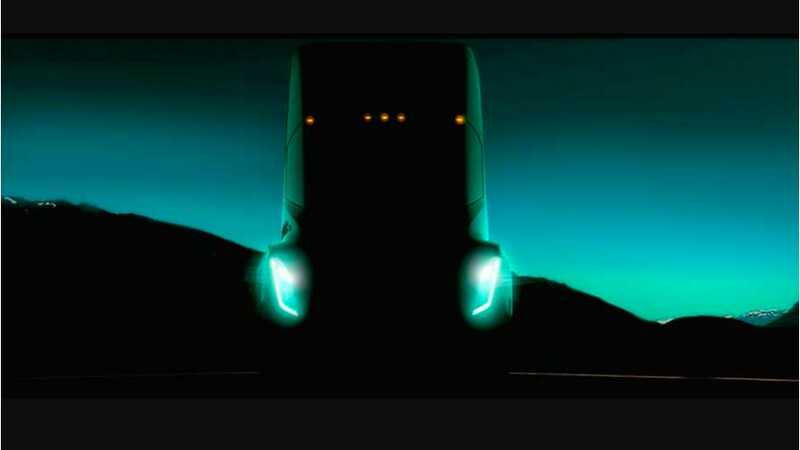 It should be interesting to see what technical information Tesla reveals about the new semi truck when it is officially unveiled this September.